The huge expanse of Siberia is home to a wide variety of people with a vast range of culinary customs, making it one of Russia’s most exotic gastronomic destinations. 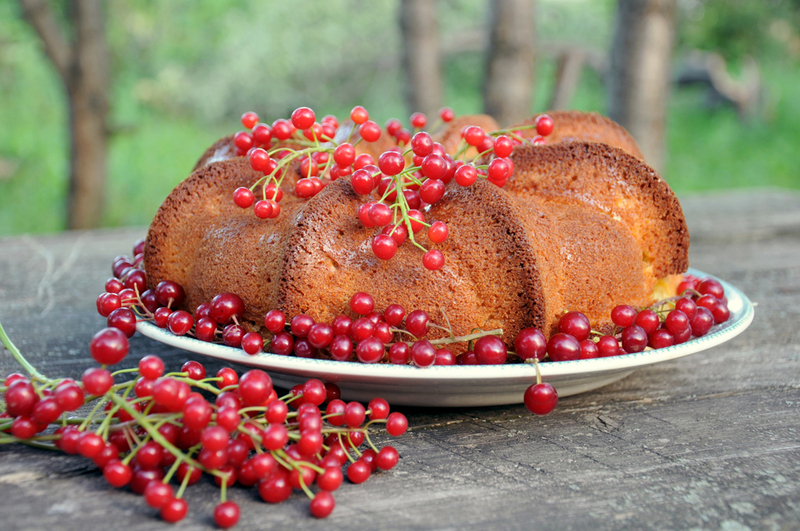 RIR has compiled a Siberian food map; part one of which features dishes from Western Siberia, like bird-cherry cake and cedar-nut meat dumplings. A wide array of sweet pies with various fillings like lingon berries, blueberries, apples and above all, bird cherries, is a major feature of Siberian cuisine, particularly in the rural areas. Bird cherries are used not only in desserts, but also in the brewing of vodka, fruit liqueurs and tinctures. In autumn, Siberians gather the small, black bird cherries and dry them under the sun or in stoves before grinding the wrinkled, round and scentless berries into flour. It is then that the rich aroma, which resembles a unique blend of almonds, chocolate and cherry stones, fills the house. From the flour they make open and closed pies, kissel (a viscous fruit dish) and gingerbread. A distinct feature of pastries with bird-cherry flour is a crunch coming from the tiny chunks of berry stones that escaped grinding. Where to taste: Bird-cherry pies or cakes are served in most cafés in large Siberian cities. But it is best to try baking one at home. Ingredients: 1 cup of dried and ground bird cherries, 2 eggs, 1 cup of sour cream, ½ cup of wheat flour, 1 cup of sugar, 1 teaspoon of baking powder. Recipe: Mix bird cherries with sour cream and chill for two hours. Beat eggs with sugar, stir in the mixture of bird cherries and sour cream, then sift in flour and baking powder and mix until smooth. The batter will resemble a thick sour cream. Bake at 180 C (356 F) degrees for 45 minutes. Cut the cake into two layers, spread the lower one with an ample amount of sour cream and top it with the second layer. A tip from the author: Let the cake sit for another 12 hours or so in order for the cake to steep in sour cream, which makes it even more delicious. Meat dumplings, or pelmeni, are regarded by many as one of Siberia’s culinary essentials. Although this dish cannot be considered 100 percent unique to the region, as dumplings are represented in many other traditional cuisines, the title is fair. The Shors, a Siberian indigenous people that live in the Kemerovo Region, justly take pride in their meat dumplings with cedar nuts. Having to survive in the taiga, the Shors traditionally engaged in a lot of foraging. Entire families would set out to gather cedar nuts, spending weeks in the forest and using a range of tools including beaters, graters, sieves and bast baskets. In size, cedar-nut dumplings resemble pirozhki (small Russian closed pies) and in shape – vareniki, another type of traditional East Slavic dumpling. This dish once served as a matrimonial test: a woman or a girl was considered a good cook only if she managed to evenly distribute minced meat with nuts among the pieces of dough and if the guests ate every last bite. Where to taste: The Shors celebrate their own New Year, Chyl-Pazhi (translates as Head of the Year) on the spring equinox day, March 21, according to the calendar of the South Sayan peoples. This holiday is marked by a variety of cultural events held in the Kuzbass and Kemerovo, the capital of the Kemerovo Region, including gastronomic festivals where you can taste cedar-nut dumplings. You can also try making them at home. Ingredients: 800 grams of beef (or horsemeat), 500 grams of cured pork fat, 1 onion, 2 eggs, 500 grams of wheat flour, ½ cup of water, cedar nuts and salt. Recipe: Knead dough from flour, eggs, water and salt. Let it sit for 20 minutes. Chop meat with a knife (it is important not to use a meat mincer or food processor), add the chopped pork fat, onions and roasted cedar nuts. Mix thoroughly. Separating the dough into pieces, roll each piece out into a large thin circle. Put some filling in the middle of each circle, fold the dough and pat the edges forming a braid. Boil in hot water for 20 minutes. Originally, such dumplings were boiled in milk, but now this tradition has faded. When the dumplings are ready, add pepper and other spices to taste.